Q1. What is the objective of the carnival? A1. Carnival is the first step in creating an ecosystem where, we can learn about Aussie startups in various fields spanning from IT/Telco to Media/Games, help those who want to dive into it or may be join these upcoming ventures. We strongly feel that there are loads of new ventures starting, but they don't get to see the light of the real world, for various reasons. We intend to help these ventures by creating a platform and environment where they can learn/share/help others in their journey. Starting up a new venture or learning about how to go about it, is like black magic. When we look for some help/expertise or some formal education specifically on entrepreneurship, we just get some elementary education or basic guidance. In today's digital world, there is high-level information about business models and how companies are doing, how and what they did and so on. There is not much guidance/help available freely on how we should go about it, what mistakes we should be avoiding, how to tackle issues and the list goes on. We intend to create a platform where people can come and learn about these new ventures and get some guidance from others. Our belief is that we can learn lot more from our fellow countrymen, because if we have to start something here than first learn from the local guy and then take advise from the guys in Silicon Valley (some really smart chaps) or other parts of the world. Over the years we have learnt that it’s hard to get things going here in Australia for various reasons. We firmly believe by starting this and continuing this initiative we can learn from others experiences. We need to learn more about this art and promote for others to dive into it. This space is evolving quite rapidly and we are trying to learn more about it, there are not many dedicated places in Australia, to find information/help/learning. So the best way to learn is to share, more we learn and share in an open environment more it will help others and eventually people behind these ventures. This is just the first step in creating an environment on learning/sharing/helping others in an open and transparent way. Our thinking process and motivations are highly influenced by Brazilian entrepreneur Ricardo Semler. Q2. Who can participate? Is their any criterion for participation? A2. Anyone who is involved in new venture in Media, Technology, Telecom, Web2.0, Green Technology, Sustainability, can participate in the carnival. There is no hard and fast rule for participation. We intend to cover ventures/startups/ originated in Australia in the last 3-4 years. Q3. 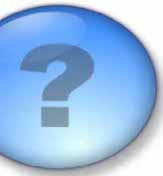 The questions list in registration form is comprehensive and asks for a lot of details - what is going to be made publicly known on the web site and what is going to be done with all of the information collected? A3. Our main reason to gather this information is to let others learn from this information. As we have mentioned previously we believe in open and transparent learning/sharing environment. All the information collected during this process will be published on the site. There is absolutely no hidden agenda or collaboration with any venture capital as raised by few people in our conversations. Our main aim is to learn as much we can and share that same with everyone. We believe learning is a two way process and this is one of the ways of learning in a flat world. Q4. What benefits a start up will get from participating in the carnival? A4. Yes that's a fair question, because no matter how much we say that this platform is all about learning/sharing and creating awareness and providing exposure, people in new ventures always find hard act balancing their time/effort/money. So by sharing the insights and spending time to put together a profile for us they are committing lot of time and we are thankful for their support. New ventures learn about other ventures and people behind these across Australia. We are finalizing Judging Panel of 3 to be announced by Monday Feb 18, 2008. The panel is going to judge all the ventures on originality, simplicity, technology and marketability. They will select the top three. They will also provide some suggestions to all participants. We are also working on with some sponsors on offering some form of prizes to the top three ventures and few freebies to others. Once finalized it will be published on site. We are also working on getting some famous global bloggers to write about this initiative and people/ventures who are participating.